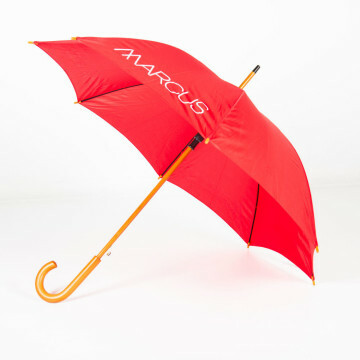 The Umbrellas & Parasols Budget Wooden Walker Umbrella is the classic and stylish choice in branded umbrellas. The combination of the traditional, classic wooden shaft, with the modern metal ribs means you get the best of both worlds. 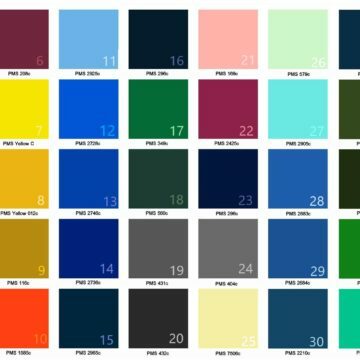 As a result of its size, it is ideal for cities or events where space is minimal but when rain coverage is still important. 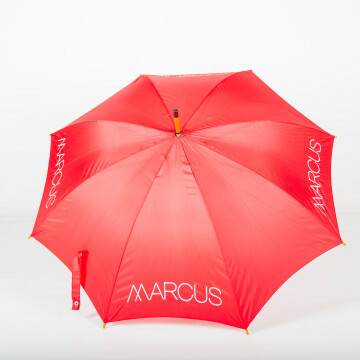 The height of these branded umbrellas when collapsed, makes them useful as a walking support or prop. 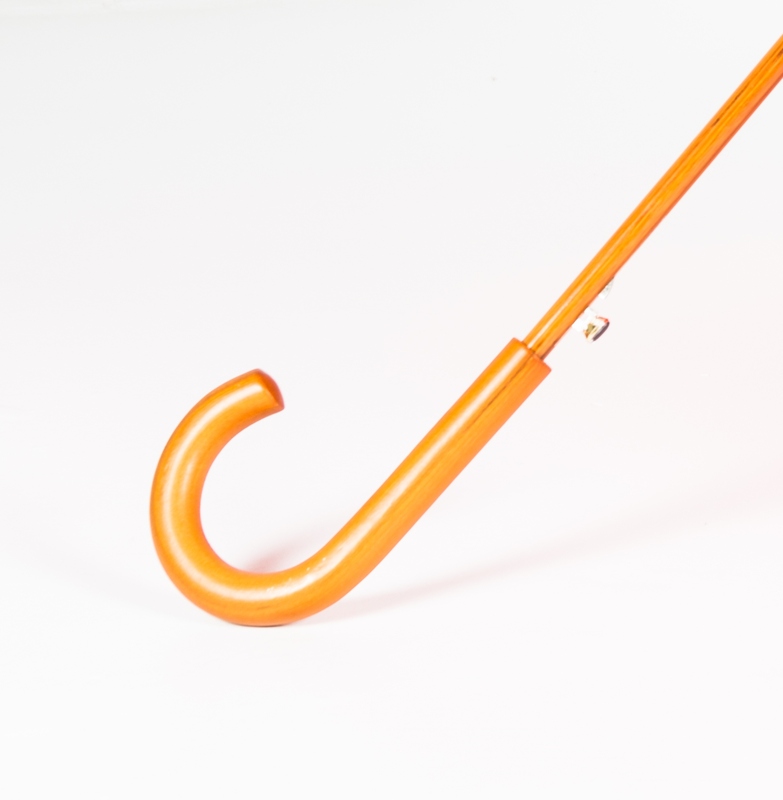 The budget version of the Wooden Walker Umbrella has twin fluted metal ribs and a manual open and close system. 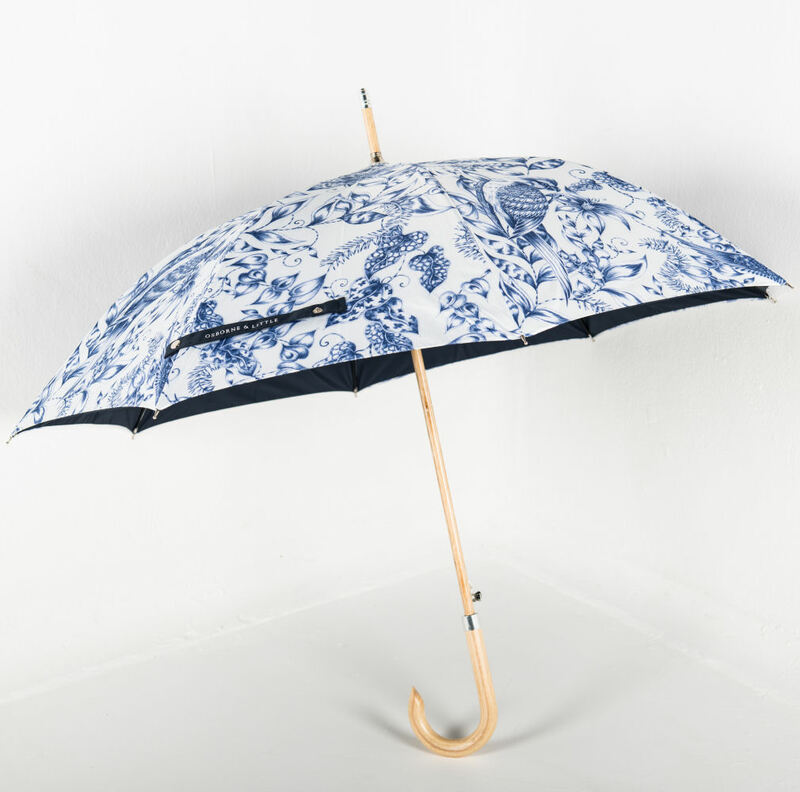 These umbrellas come as standard with the wood stained in a medium dark colour but if you order over 300 units there is a more comprehensive choice of wood varnishes. This is used for the handle, shaft and the end cap giving you complete control over the way your umbrella will look. 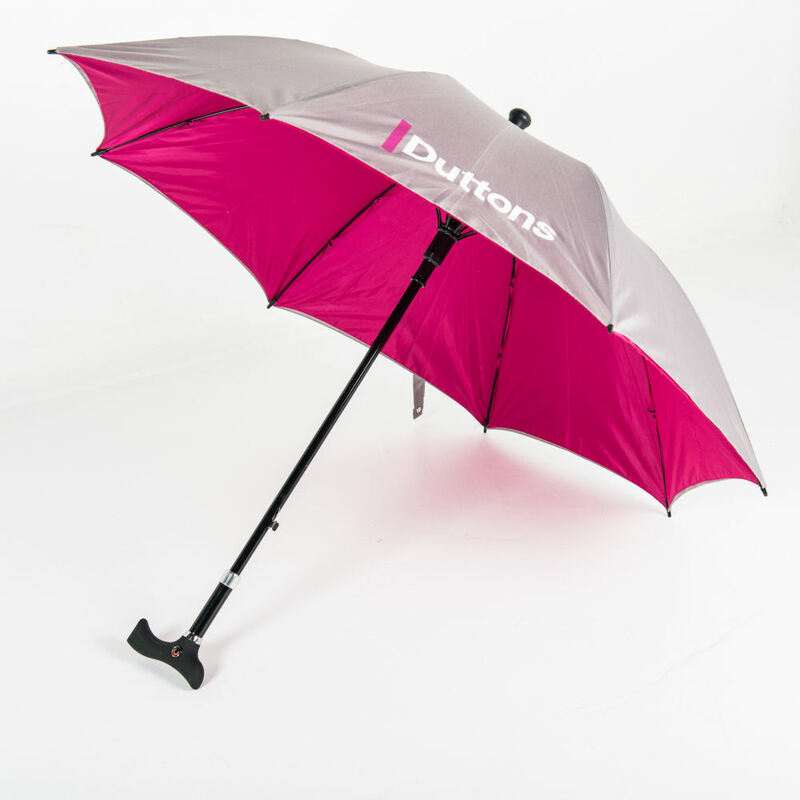 Other optional extras are a double canopy, handle choices of straight or crook as well as printable sleeves. 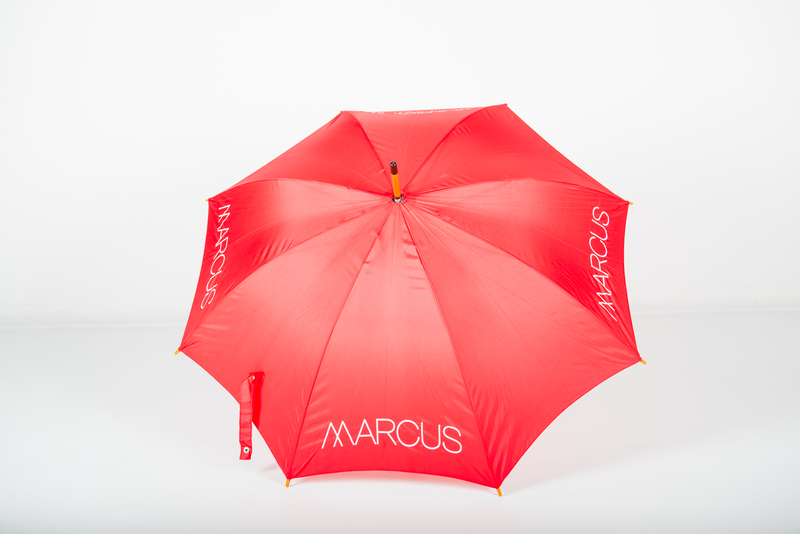 These branded umbrellas have 8 panels in your choice of colour(s) and can be customised with your logo and branding via screen-printing; digital printing is also available for more complicated designs.